Even the most conscientious homeowner encounters a plumbing problem or two now and again: a clogged drain; a busted septic tank. While these problems are common, especially in homes with older plumbing, there are a few hard and fast rules for keeping your plumbing mishaps to a minimum. Keep the following “what not to do” tips in mind to avoid costly issues. 1. Improper cleaning: Drain cleaners are not created equal. A cleaner intended for one type of drain can easily damage another. If a clog in your kitchen drain coincides with one in your toilet, for instance, do not use the kitchen sink cleaner to unblock your bowl. Instead, always read the fine print and spend that extra few dollars on cleaners that are appropriate for each type of drain. The risk of damage can be high, particularly when using a drain cleaner on a heavy hitting appliance pipes, like those attached to your washing machine. Caution here will save you bundles of both cash and frustration. 2. Pipe mismatch: We don’t want to second-guess you, DIY Homeowner, but replacing your own pipes is not as advisable as it seems when a fresh leak creates a growing puddle on your hardwood floor. Choosing the wrong size or type could result in larger leaks than the one you attempted to repair. If you are going to replace a pipe yourself, be sure to double-check (then check again) the type of pipe and connector appropriate for the job. 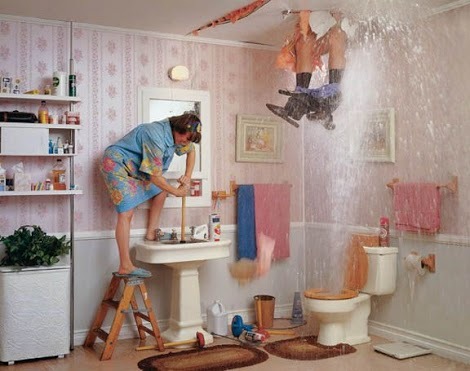 Consult Simpson Plumbing if in doubt; we promise to help in any way we can and will never overcharge you. 3. Leaving a 2-year-old alone with a roll of toilet paper and the ability to flush: Sound funny? It won’t be when your pipes clog at 2am because your curious child figures out that by placing the tip of the roll in the toilet and flushing repeatedly, the bowl will consume yards upon yards of paper in minutes. Teaching your kids how to responsibly use home appliances, which include age-appropriate supervision, will go a long way to preserving the life of your equipment, as well as your sanity. 5. Not calling a plumber: We said it in #2, but it bears repeating. Plumbing is what we do. If you are not a plumber and your project is complex or unfamiliar, calling in a professional is the best choice you can make for your home. Plumbing mistakes are easy to make, but also easy to avoid. 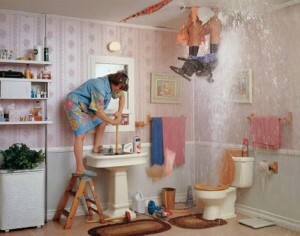 By keeping the above tips in mind, you can successfully work on the plumbing in your home successfully, without crisis.